It’s significance was not lost on the Scottish people as an unprecedented 85% of the eligible electorate cast their votes. At a time when the British electorate had been accused of political apathy, this historic decision clearly captured the attention of the whole nation. Such a turnout does raise the question therefore, why is it that so few choose to execute their democratic right when it comes to general elections? Could it be that British voters, rather than apathetic to politics, are apathetic to those that put themselves forward to represent us? Do the public see any genuine, tangible differences between the political parties in this country? Is our apathy essentially a no confidence vote in our current political system? For the first time, this referendum gave those as young as sixteen an opportunity to have a say on a matter that will impact them for the rest of their adult lives. In deed, the vigour, excitement and enthusiasm of the young voters has been one of the highlights of this campaign. At sixteen, you’re old enough to be incarcerated, you’re old enough to pay taxes, therefore if you’re old enough to do all these things that are effected by politics, does it not also make sense that you should be old enough to vote? I hope this is one of the lessons we learn from the experience and that future generations of young adults are given the right to vote at all elections. Maybe then the turnout would not be so pitifully low? The Scottish people spoke, and fifty-five percent of them opted to remain part of a political union they feel has served them well for over three hundred years so it may seem odd that I pose the question who were the real winners? Surely a margin of ten percent answers its own question? Actually, I believe that we are all winners as the result of this vote. When Alex Salmond sat down with David Cameron to discuss the mandate for a Scottish referendum in March 2013, Mr Salmond wanted three options to appear on that ballot paper, Yes, Scotland should become an independent country; No, Scotland should remain part of the United Kingdom or the middle ground option, remain part of the United Kingdom but with more powers for the Scots to make their own political decisions. Mr Cameron, buoyed by opinion polls at the time that suggested only thirty percent of Scots would be interested in Independence, decided that the choice should be a straight Yes or No. 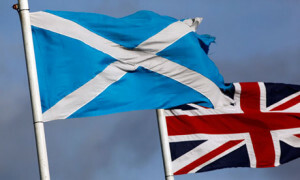 Although it will go down in the history books that the vote was for a straight Yes or No, the reality was somewhat different as the Yes campaign gained so much momentum in the run-up to the vote that all three major UK political parties, fearing a devastating break-up decided to concede that the vote for No should come with the rights to enhanced devolution, just as Mr Salmond had originally desired. The ramifications have sent shock-waves through the whole of British politics. It’s not just the Scots that have shown their dissatisfaction with centralised control at the Palace of Westminster, but the English and the Welsh too. There have been rumblings of discontent in the regions at the London-centric distribution of wealth for some time and this election has shown us that their could be another way for us all. The calling from the big northern cities of Manchester, Liverpool, Leeds and Newcastle is reaching fever pitch and Mr Cameron is astute enough to recognise this. He knows that Nigel Farage’s UK Independence party is gaining traction and that if he is to deal with that threat, he must react to the political ill-will felt towards an out of touch Westminster. He has stolen a march on Ed Miliband by stealing Labours rhetoric of power to the regions and the next few decades are going to be a fascinating period of political jostling. Those that voted Yes for Independence voted so, in my opinion, because they were sick of the current political establishment. They were sold a promise of a fairer society with a halt to the unpopular benefit reforms and possibly lower taxation too. It is easy to see how that elixir could be intoxicating but I believe that it was a promise they would have never have been able to deliver. The balance of power may have been severed from Westminster to Edinburgh but there are no guarantees that a fairer society would have emerged. The maths simply wouldn’t have added up. The way income generated in the United Kingdom is actually beneficial to Scotland. The oil may have eased that pain in the short term (it is a finite resource after all) but in the long term it is likely Independence would have left generations of Scots to pay the debt of Independence and the uncertainty could have plunged the country back into a deep economic recession with no guarantee of a currency or EU membership to fall back on. I believe that on a small island, such is Britain, it makes political and economic sense to combine our efforts as one for the sake of prosperity for all. As Gordon Brown said, that is not to say that the Scots are any less Scottish. They are a proud passionate nation of inventors and sportsman that enrich the whole of the rest of the United Kingdom. Let our strengths be shared and our identities remain. What makes our countries truly great is that we were allowed to come to these conclusions without a single ounce of bloodshed. Democracy has spoken and our nation is Great Britain once again, long may she prosper.